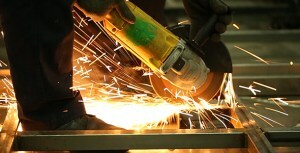 we realize very well that it’s a new world for us – but we learn very fast. how (parts) of words are used in other clusters with additional meanings. which is unrelated to other words nor has wider context. ‘manau’ and the act of stealing ‘malor’, then you start seeing a pattern. which deity represents what again. exact why the pantheon will Sit within this gap. directing it from his powerhouse HQ in the East. Copernicus; and many ideas and concepts went the similar way. so that yóu also can follow the thoughtline – and that we don’t but make things up. but go dissect every term in order to find whát is it they address. 2. O, ocean! a vast; sand; will appear; (when) your water gets consumed by my arrows; you get dried up; and the creations inhabiting you get destroyed; by me. 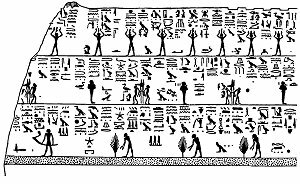 it is the theme of Edfu, where Horus describes the receding of the waters (as eden’s dimension), and the first dry land is called (glyph) Ta-tHNN; while befóre that event, the book of Genesis tells in the same terminology the “separation of the waters” (being the M-realm and Leviathan). These are not mere versions of the same event – because where Genesis séparated both realms, Edfu mixes them up again. 3. O, ocean! by a gush of arrows; released by my bow; our monkeys; can proceed; to the other shore; with even their feet. 4. O, Sea the abode of demons! you are not able to recognize; my valor; nor prowess; by your discernment; you will indeed get; repentance; at my hands. 5. the exceedingly powerful Rama; fixing; an arrow; resembling the Rod of Brahma (creator); and charged; with a missile presided over by Brahma; to his excellent bow; stretched it. 6. (while) that; bow; was being stretched; by Rama; both the heaven and earth; suddenly; seemed to be split asunder; mountains also; were shaken. 7. then; darkness; enveloped; the world; the quarters; did not shine; lakes; and rivers; soon; were agitated. 8, 9. moon; sun; along with stars; moved; obliquely; (and though); the sky; was lit; by the sun’s rays; it was enveloped; by darkness; and shined; with a blaze of hundreds of meteors; (while) thunders; reverberated; with an unparallel sound; in sky. 10. series of celestial winds; blew; in their colossal forms; drawing out; clouds; again and again; then; tore up; the trees. 11. (the wind) shattering; the mountain peaks; broke off; the points of the rocks; winds of great velocity; struck together; in the sky; emitted; flashes of radiance; proceeding from lightning; with a great sound; and then; they (became); great thunders. 12, 13. the living beings; which were; visible; cried out; along with the thunders; the visible; beings too; gave off; terrific noise; (the beings) were overpowered; and also very much anguished; they did not move; due to fear. 16. 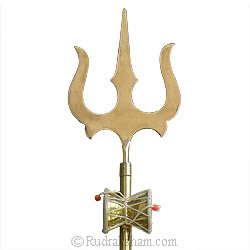 Rama; born in Raghu dynasty; and the annihilator of enemies; did not retreat; (before) that; ocean; and crossed its limits. (raising) from the huge mountain of Meru; at dawn. 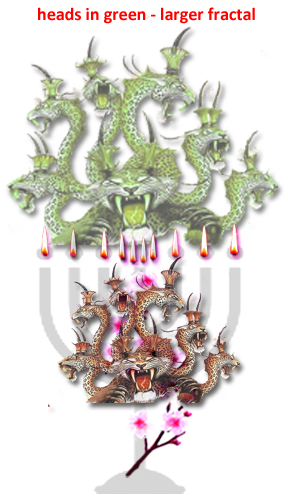 18. the ocean; along with snakes; of flaming jaws; appeared; with a hue of glossy emerald; adorned with gold. the place where the Watercourse enters the sheb-eden-dome. 26. hence; I; am fathomless; and my; nature; is this; being impossible of being swum across; It becomes; unnatural; If I am shallow; I am telling; you; this. 27. O, prince! neither from desire; nor ambition; nor fear; nor from affection; I am able to solidify; my waters inhabited by alligators. 28. O, Rama! I; will make it possible; in that manner by which; you can go; in every way; I will arrange; a place; for the monkeys; to cross me; and bear with it; as far as; the army; crosses me; the crocodiles; will not be aggressive. 29. then; Rama; spoke; to that ocean; (as follows); Listen; to me; this; great arrow; should not be in vain; in which; direction; should it be descended? 31. there is; a certain; place; which is northward; to me; it is well known; as Drumatulya; as; you; are well known; in the world. 32. numerous; robbers; of fearful aspect and deeds; having the sinful Abhiras as their chief, drink; my; waters; there. 33. I am not able to bear; that; touch; of those; wicked people; the evil doers; O, Rama! let excellent arrow; be released; on them; there; with out vain. 34. hearing; those words; of that Ocean; the high soled; (Rama) released; that arrow; which was excellent; and splendid; towards the place as directed by the ocean. 35. the place, where; the arrow; whose splendor was akin to that of a thunder and a thunder–bolt; was descended; by Rama; that place; is indeed famous; as desert of Maru; on earth. mar-sána,’touching (especially a woman)’ (MH), phallus-theme? the lower tile in the diagram must be the SH then (where the upper, with forests, is the B from ‘solarplane’; together forming the (hebrew) sheb-dome). Then the spells turn the character Inverse, and SH becomes KH – with numerous stepdowns, but noticable KHEN, “to hover over”, indicating immediately what they do; as it’s stepdown KHENEM, “to inhale the fragrance”, to KHET, ‘staff’ (former eden-double root ÃPP), and inversed as TEKH and T’EKH (*pic, similar meanings, we cannot post all…). 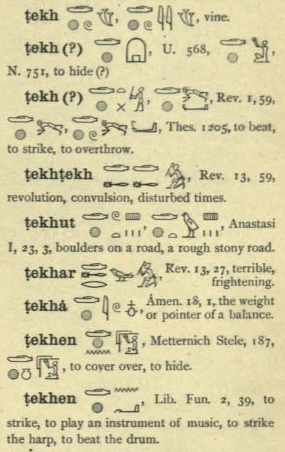 plummet; the TEKH-cluster has many related aspects of this place, representing what is the góal of this chapter 22: see “boulders on a road” and compare picture at the top of this very page! 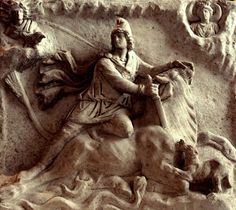 38. from that place; a terrific; splitting sound; was born; water; was dried up; in those cavities; by hurling of that arrow. 39, 40. that desert of Meru; became famous; in the three; worlds; Rama; the son of Dasaratha; wise man; and a valiant man like a celestial; made that cavity dried up; and gave; a boon; to the desert of Maru. 41, 42. due to granting of a boon; to that desert Maru; by Rama; the place became most fit for cattle; having tasty fruits and roots; with a lot of clarified butter; lot of milk; sweet smelling; having various kinds of herbs; thus; it became; an auspicious; and suitable; move; consisting of; these; merits. 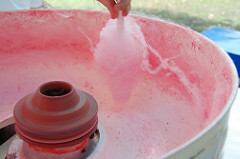 — gharma, ‘a cavity in the earth shaped like a cauldron’ (RV) = ABT’U! 43. then; while that; cavity; was burning; ocean; the lord of rivers; spoke; these; words; to Rama; who knew all scientific treaties. 44. O, excellent man! this one; named Nala; a glorious person; is the son; of Visvakarma; who was given a boon; by his father; and equal to; Visvakarma. 45. let this monkey; a greatly energetic one; build; a bridge; in me; I; can hold; it; He; is the same; as;his father. 46. thus; speaking; the god of Ocean; disappeared; then; Nala; the more distinguished among monkeys; stood up; and spoke; words; (these) to Rama; of great power. 47. the great ocean; told; a truth; I; will construct; a bridge; (across) the large; ocean; taking recourse to; the ability; of my father. 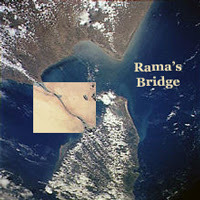 48. this; Sagara; the formidable; mass of water; in fear punishment; wished to see a bridge constructed; (and) gave; a passage; to Rama. 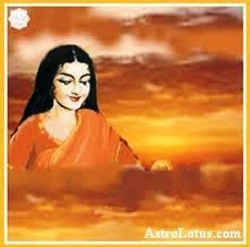 49. on the mountain of Mandara; the following boon; was given; to my mother; by Visvakarma; “O like lady! a son; equal; to me; will be born; to you. while Mahabharata describes but the nature of some gems, like the pearl; or the crystal Sphatika, where the town of Kubera is decorated with crystal-like gold buildings (MH3); or the cat’s eye, as whirlpools in a river, alike Varuna’s eyes. 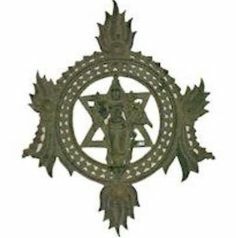 When crystal, it may be “the crystal palace as place of (glyph) ÕN”, the same castle Henoch describes, and that one should be related close or upon the middle Sba-stargate. Ratna as a jewel, gem, treasure, precious stones – the pearl, ruby, topaz, diamond, emerald, lapis lazuli, coral, sapphire, and gomeda – but these are nine in number, only in all later texts. The word “nine” neither has any link with “rutna”, and therefore must be linked to the Ennead: who create the cauldron AB in amtuat and book of gates. 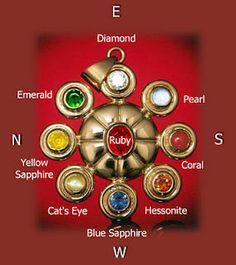 It was (these) ‘nine’ who were the advising geniusses at the Gupta dynasty, and the famous Navaratna necklace represents the later “nine gems theory”, linking to planets etc, which polluted the originals. 50. 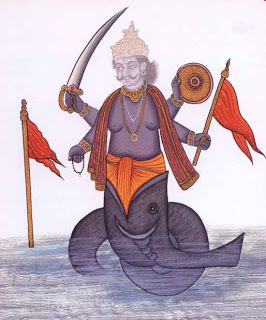 I; am a son born of Visvakarma’s own loins; I am equal; to Visvakarma; I have been reminded; by this god of ocean; the great ocean; spoke; the truth; unasked; I; have not told; you; my; description. 51. I; am capable; to construct; a bridge; across the ocean; Hence; (let) the foremost of the monkeys; build; the bridge; now itself. 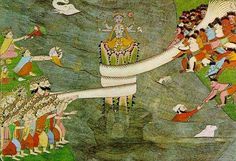 52. then; being sent; by Rama; hundreds and thousands; of monkey heroes; jumped; in joy; on all sides; towards the great forest. 53. those; army chiefs of monkeys; who resembled the mountains; broke; the rocks; and trees; there; and dragged them away; towards the sea. 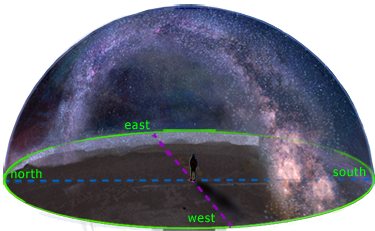 above diagram, as Visual about the doubled Sba-stargate — though it is one construct, there are two separate “tiles”, with the end of the Watercourse as spark pictured inbetween both. – the lower tile as eden’s type nature, yet [that tile] had to be combined to the previous (apparently since eden was about a re-conquering; and because of the nature of reconquering, it implies there were aspects shared); hence “two different tiles yet as one”, both tiles as one construct, termed in (hebrew) Sheb, and in glyphs the same, SH+B. But then came the pantheon’s chisel, to “open the construct of two tiles, in order to get the fire or spark from inbetween both” (as previous in this chapter, and compare the ‘allspark’ theme of that robot movie); and nów the monkeys start to build a bridge, which we depicted in the rightside of the picture as “the grand gallery of Giza”. 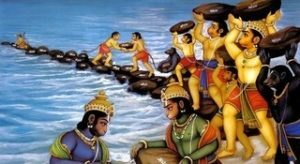 54, 55. those monkeys; filled; the ocean; ( with all types) of trees; namely; sala; Asvakarna; Dhava; bamboo; Kutaja; Arjuna; palmyra; Tilaka; Tinisa; Bilva; Saptaparna; the flowered; Karnika; mango; and Asoka. (context – perhaps from pR, ‘to rescue, protect,etc’; in spells, “wings” are consistently about the several axis, but why seven is mentioned here, is unclear — perhaps denoting the lampstand (*pic diagram above); as 2 x 3 wings attached to the centrepole and one onto the centre pole itself? 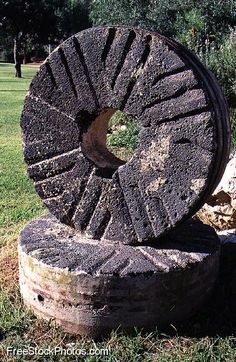 the picture is here a thin-thread coming fróm the grinding-stone; the slender and the straight furrow cannot be else as related to the grindingstone. We knew they are fond of ‘rotation’, and that they create blue lapis-lazuli light from that; the spells are full of the concept of “weaving”, in several sets of glyphs; and an entire tuat VIII is dedicated to this theme. machine..? Perhaps she is representing “a physical construct”, like an energetic- physical body? 56. the forest animals; the very good monkeys; lifted; and brought; the trees; some with roots intact; (and some); trees without roots; like Indra’s flag posts. solarplane is a nice find, but has no contextual merit. this matrix around us, the world we (think we) see, is “renewed” constantly by the M-realm; since it is théir consciousness of Will, which keeps up our ‘reality’. Today we (cough) scientifically think that “laws of nature” are responsible for this – but factually those ‘laws’ are continuously instálled, and renewed, by the M-realm. Perhaps an analogy about this renewing, is “refreshing the picture you see in front of you”: our senses are so Dull, that this refreshing is but in very low frequency, and we expierience slow Time, within their revolving matrix. But would we know about pictures [read: a reality] which are stunning, and would they be ‘refreshed in very high frequency’, then there woul bé no “time”, but a continuous paradise. So stunning this must be, that even théy know about the “flashing beautifully”, svar-ci; and all the spells talk about aquiring thát: but needed to “cool-down” (QEBBH”) first, in order to can use it for themselves. but tells exact the same as this Ramayana. to cover eden with; and have Rã to rise in their new matrix. 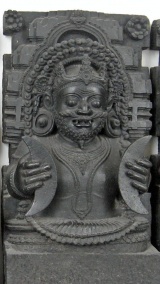 and likewise suryA, as name of the sun, probably from a-sura. 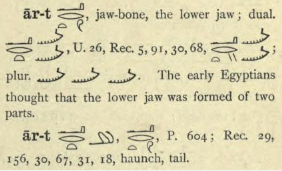 showing Sanskrit múst be based upon Inversion, just as glyphs. originals, tuat V; hence the ‘collective body’. Ketu – where ‘horse’ is not far from ‘gazelle’. 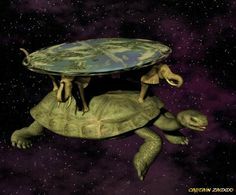 or perhaps as the blueprint (wheel) forming their larger universe. together, as to prevent total Entropy. but the framework in which all these cycles happen, must be their ‘wheel’. as is the type of consciousness folding back into itself (our present matrix). the mindset of the same M-realm) that we are within some arm of a galaxy. That we can see óther galaxies as this model, does not mean wé are in one. “being part of some incomprehensible massive galaxycluster”. 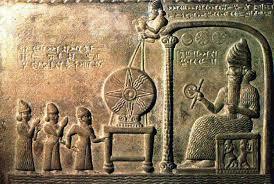 as the rim of the wheel, encompassing us (diagram, below). flower of life concept); but we cross the line when speculating further. we couldn’t interpret the Milky Way as the wheel being around us. as “corner” and “straight” must be the typical form of eden. which they succeeded to acquire. in that region (see diagram, around the girl’s waist). 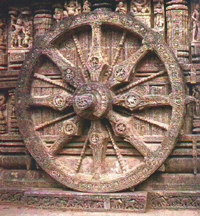 is anóther wheel which IS hurt – or why mention this, altogether? to “eject a wheel”, where “mouth” is eden’s tile? pradvAr, ‘place before a door or gate’ (RA) sic! all these together as “the house of Saturn”, as Diti.